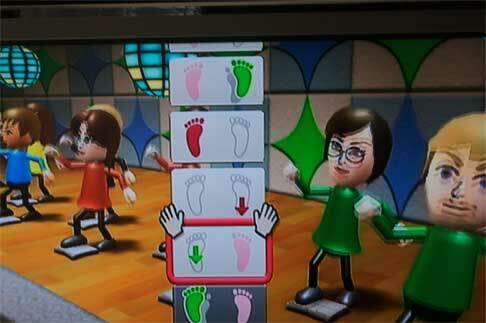 The Wii system mixes up the Miis that you’ve stored plus other random Miis that it generates so you never know who is going to be working out with you. Today it just happened to be Mom. I’m grinning at the thought of you working out with her. I’m also really glad that you’ve gotten to the point where it makes your day to have her Mii there instead of making you sad. Previous entry: Well look-ee here!